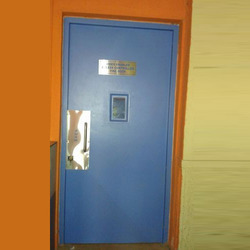 Leading Manufacturer of fireproof doors, mortise lock fire door, color coated fire steel entry door, corporate fire steel door, frd blue doors and fire proof trap doors from Bengaluru. Owing to our immense expertise in this domain, we have been able to manufacture, supply and export a wide range of Fireproof Doors. Note: Range available between 15000 to 40000. 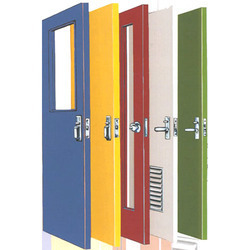 We have gained immense expertise in manufacturing, supplying and exporting of a qualitative range of Mortise Lock Fire Door. 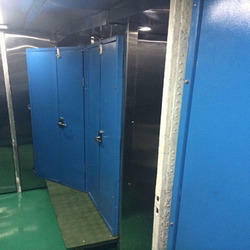 1.0 mm galvanized steel sheet for with vertical interlock seems and reinforced by a top, bottom channels, 46 mm thick. 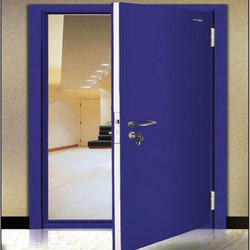 For our clients, we are having an exclusive collection of Color Coated Fire Steel Entry Door in our store. 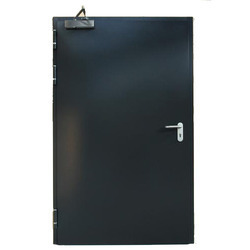 For our clients, we are having an exclusive collection of Corporate Fire Steel Door in our store. 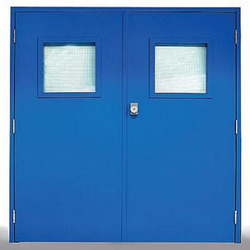 We are known in the market as the manufacturer and supplier of a wide range of FRD Blue Doors. We hold immense expertise in manufacturing, supplying and exporting a quality assured collection of Fire Proof Trap Doors. 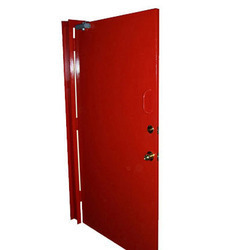 With the help of our diligent professionals, we have established ourselves as a leading manufacturer, supplier, and exporter of Fire Protection Doors. 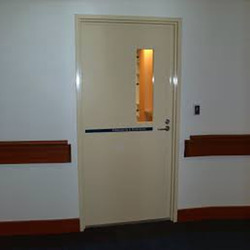 We are known in the market as the manufacturer and supplier of a wide range of Louver Fire Rated Door. 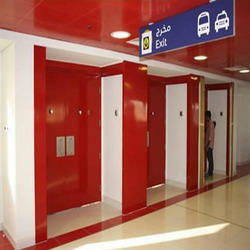 Keeping in mind the exact requirements of the clients, we manufactured the Swing Fire Doors with the superior-grade raw material. 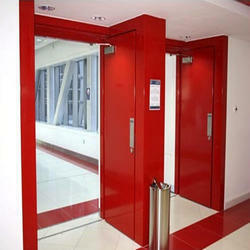 Video Enabled Access Controlled Fire Door- an excellent combination of style, security, and convenience. 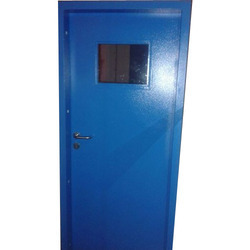 With the help of our diligent professionals, we have established ourselves as a leading manufacturer, supplier, and exporter of Color Coated Fire Resistant Steel Doors. 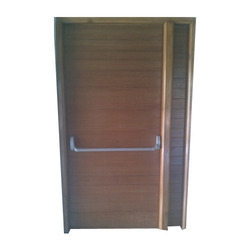 With the help of our diligent professionals, we have established ourselves as a leading manufacturer, supplier, and exporter of Fire Door. 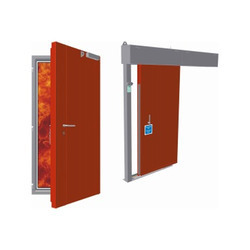 We have in store for our customers Double Leaf Flush Fire Resistant Door set that matches international standards and are made using high-end technology. 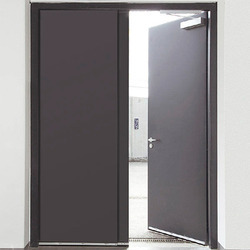 Catering the varying requirements of our clients, we are offering them a commendable range of Two Hours Fire Rated Doors. 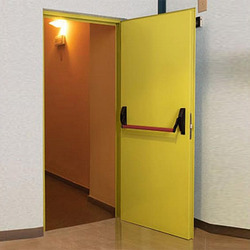 Our firm is engaged in manufacturing, supplying and exporting of a commendable array of Color Coated Fire Doors. Backed by rich industry experience, we have been able to bring forth quality-assured Indiga Urethane Steel Core Door into the market. 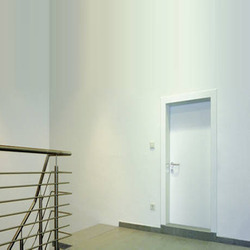 Looking for Fire Resistant Doors ?